We took the babies to meet our friends and former next door neighbors, Erric and Pedro, for wings at Taco Mac in the early evening. 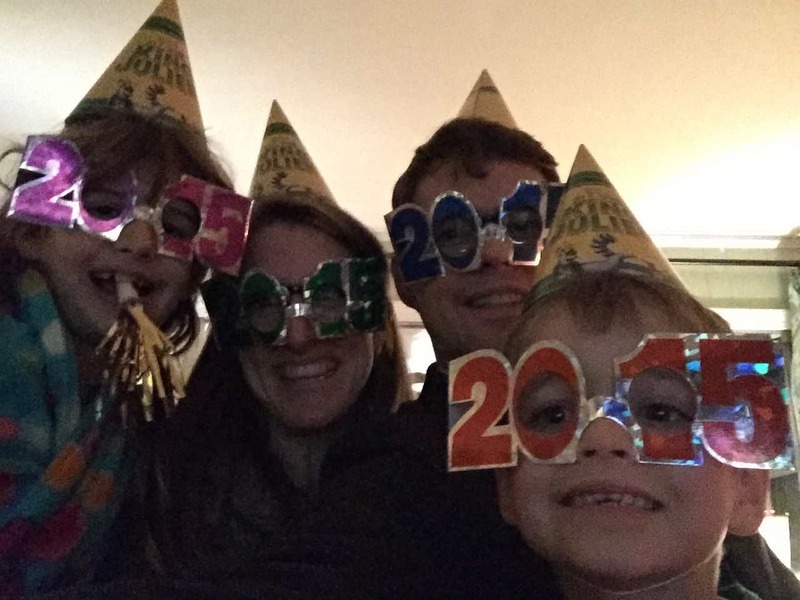 Before they moved to Texas for a couple years and we moved north of the city, we spent New Year’s Eve with them every year. 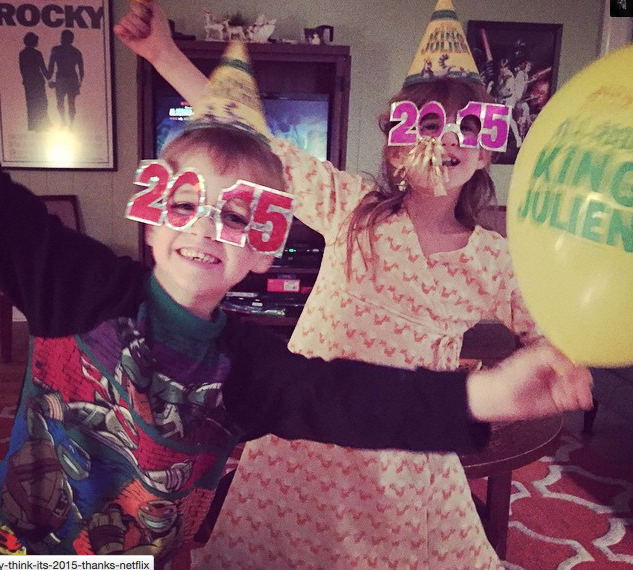 After we got home, we played the King Julien New Year’s countdown with the children, using the streamers, noisemakers, hats, and glasses we got from Netflix. Since we’re getting up early in the morning to head to New Orleans for the Sugar Bowl, we decided to celebrate the new year with London instead of at midnight eastern time. They loved it. 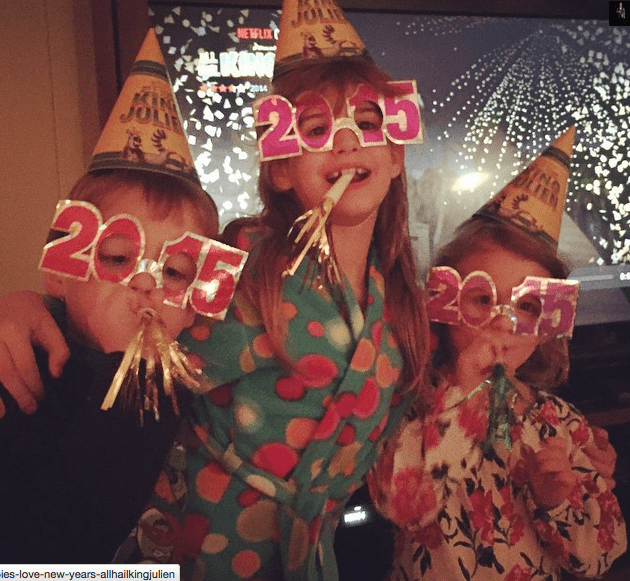 It was a fitting way to spend the eve of 2015–the only New Year’s Eve I’ve ever spent with my children (or anyone’s children) instead of out with friends, but as the little ones age, and I realize more and more that my time with them is limited, I hope to have build more memories like the ones we created tonight of sharing celebrations and events as a family. Happy 2015.